This tab can be used to define the time range of the report. 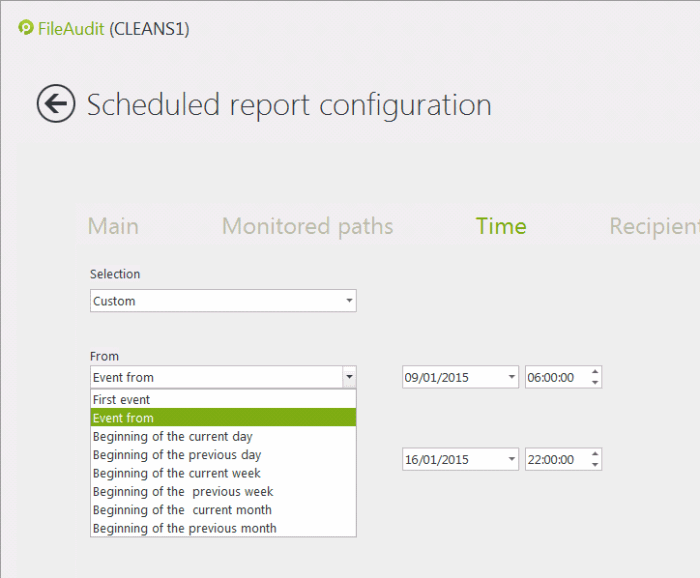 Every file access event generated for the selected monitored path included in this time range will be analyzed. If they correspond to the filter criteria defined in the ‘Main’ tab, they will be reported. 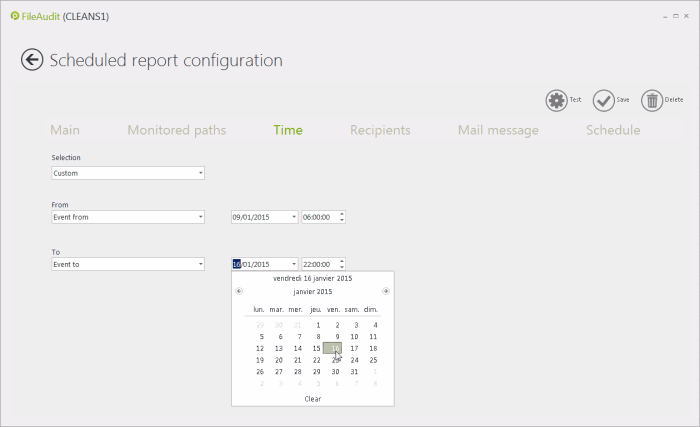 The ‘Time range’ parameter is an important setting for Scheduled reports. If the history of file access events saved in the database is very large, it becomes necessary to reduce the period concerned or to set more restrictive filter criteria to obtain a pertinent and readable report. 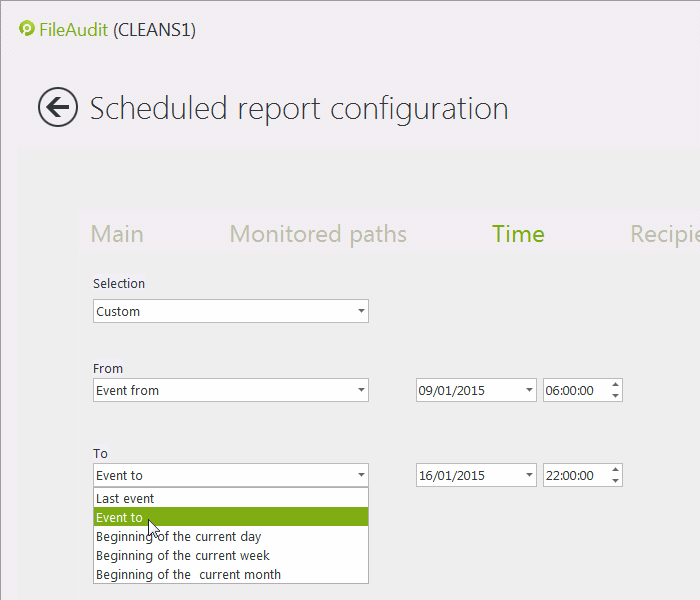 The FileAudit scheduler interprets the time period selected for a given report and dynamically generates the report for the same period. 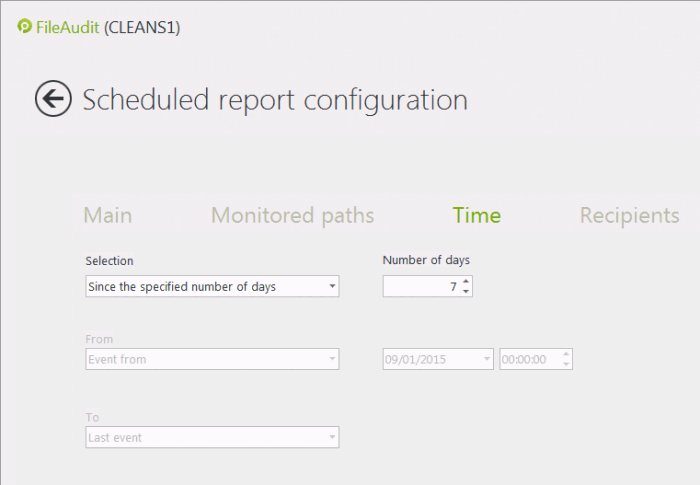 For example, if you have chosen the previous day as the monitored time period, the report will always contain events day before the report execution day. Various time configuration options are offered to generate dynamic content according to the execution date of the scheduled report. The repository of these different time options will always be the execution time of the scheduled report. The selection of the 'Custom' time configuration option allow to personalize more granularly the period of time. 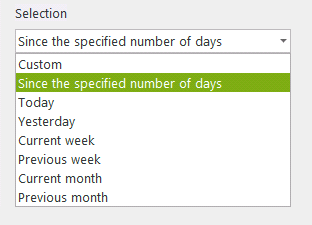 Once selected, the two dropdown lists 'From' and 'To' are enabled and can be adjusted from several options including relative time options too. 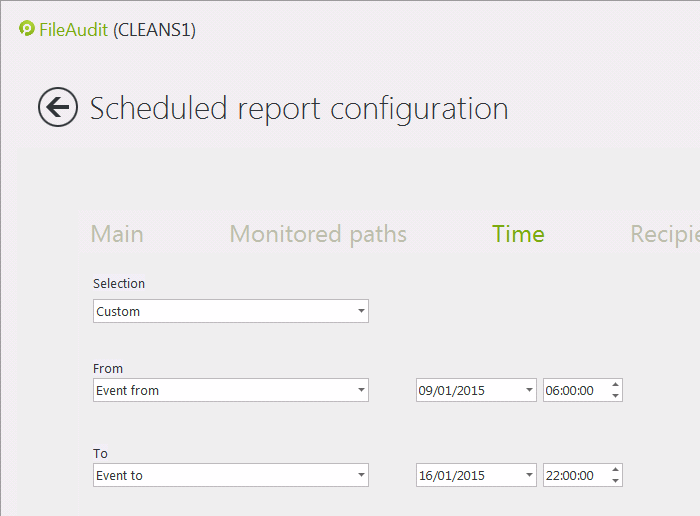 Selecting 'Event from' in the 'From' list or 'Event to' in the 'To' list allows to define exactly the desired period.